It's easy to see why students that are sorted into Ravenclaw love to boast about it. Ravenclaws are known to possess wisdom, cleverness, and wit which are all amazing characteristics, plus the other Hogwarts students all know that Ravenclaw House has an awesome Common Room that only allows you access if you answer a riddle correctly. 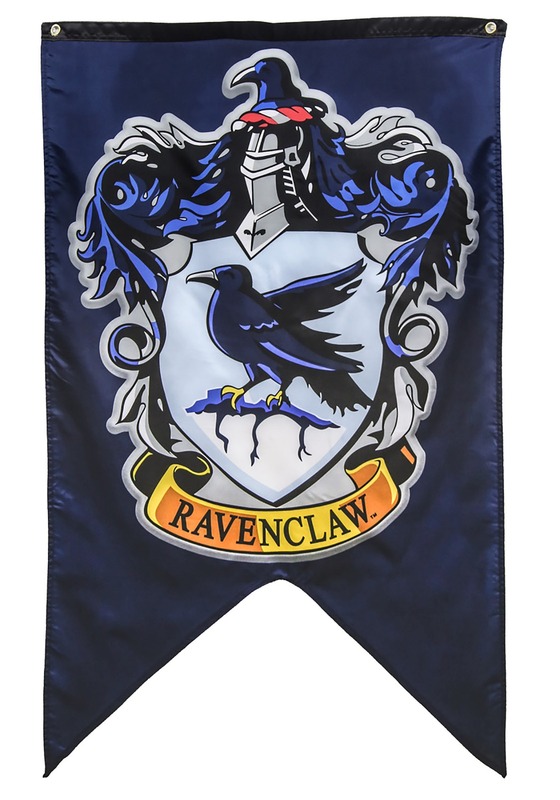 We can see why you're so happy to be a member of this prestigious wizarding House, so that's why we want you to own this cool banner! 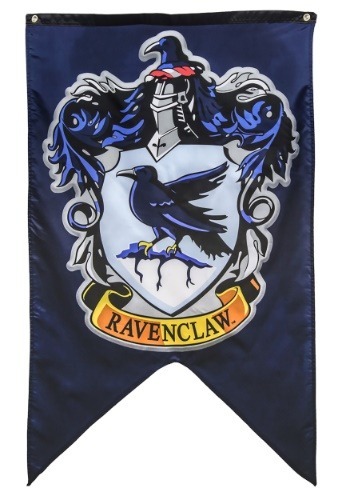 This officially licensed Ravenclaw School crest banner from Harry Potter is the perfect piece of home decor for those who wish that they could wake up at Hogwarts everyday. There are two metal grommets on top of the banner so you can proudly display it in your office cubical, over your bed, or on your front porch. Others will marvel at it and compliment your magical taste in home decor!